With the national winners (and nominees) dripping in for the international jury, it is time to share some of the winners as they come out! 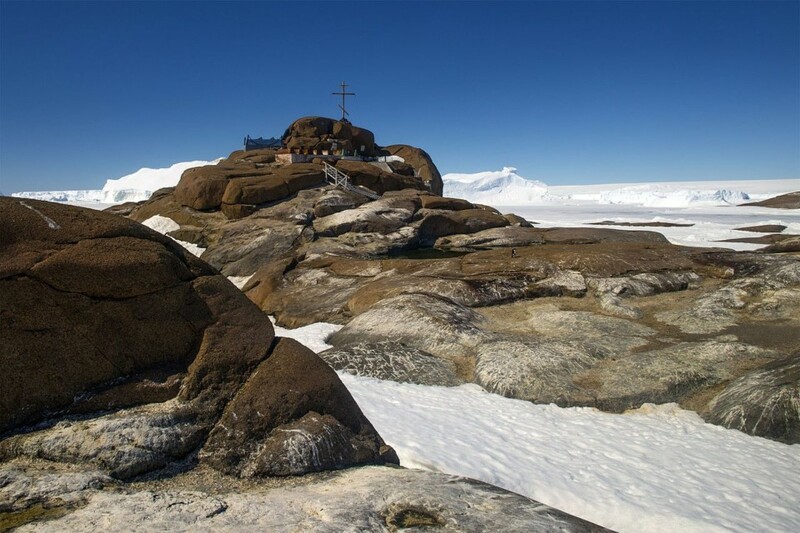 The first results we’re sharing come from Antarctica. Antarctica is perhaps the strangest place participating in Wiki Loves Monuments – it has no permanent inhabitants, it is practically cut off while the contest is running, and it isn’t a country. But it does have 91 internationally-agreed historic monuments, set in one of the most beautiful and isolated locations in the world. This is the second year Antarctica has participated, with 13 entries in 2016 covering a wide variety of locations around the continent. Some were of popular tourist sites, such as Port Lockroy off the Antarctic Peninsula or Ross Island; others highlighted more unusual sites including preserved vehicles. In the end, the judges selected one winner from the thirteen photos submitted as nominee for the finale: a photograph of the Soviet cemetery on Buromsky Island. This holds several gravesites, mostly from the 1960s, on a small island near Mirny Station. The photo is displayed above, and was made by the user “Tsy1980” (CC BY-SA). Hi Tim. The image should be displayed at the top of the page.